Beginner? We’ve got you covered. Here’s what you need to know before committing to ANY ukulele. Short on time? Here are the results. Premium? The Cordoba 20cm Concert Series. Join Leonard Cohen, OneRepublic and The Gypsy Kings in playing something truly special. Check discount here. Value? The Kala MK-C. Based in Petaluma, CA, these guys are the Real Deal. Check discount here. Budget? Can’t get much better than the Hola! Music HM-124MG+. Not many ukes under $100 offer what this does. Find it here. The Cordoba 20cm Concert Series. Check discount here. The Kala MK-C. Check discount here. The Hola! Music HM-124MG+. Find it here. The Kala Makala Waterman. Why not get one that glows in the dark? BEST PLASTIC UKULELE – THE KALA WATERMAN – THIS ONE GLOWS IN THE DARK! Ukulele – What’s the Deal? The ukulele is a 4 stringed musical instrument and is an extremely beginner friendly instrument that can a great building block towards learning other string instruments, like an acoustic guitar. The ukulele is best known for its sweet tones and rhythms originating from Hawaiian music. In recent years, it has quickly become the fastest growing instrument in terms of popularity after the rise of its use in pop music. The ukulele is extremely popular with newcomers to playing an instrument and is one of the easiest instruments for adults to learn. While all ukuleles will be beginner friendly, but there are a few things you can learn about them before picking one out. 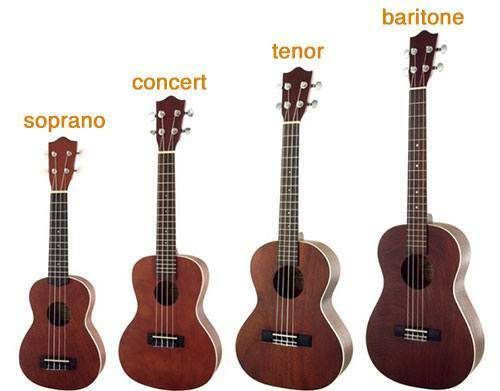 There are four main different sizes of ukuleles – soprano, concert, tenor, and baritone. Soprano ukuleles are the smallest of the group, and have that classic high ukulele tone you’d expect. Due to the compact size, it can be difficult for beginners to use the smaller frets without lots of practice. In general, this isn’t the best size for beginners but does make a great 2nd ukulele to add to your arsenal. 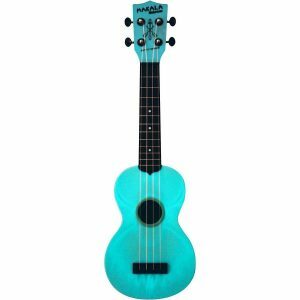 If you’re looking for the best ukulele for kids, many of these smaller ukuleles fall into this category. Concert ukuleles are the most popular ukulele size for beginners. The fretboard of the ukulele is longer than a soprano, making it easier to form chords. You still get the classic ukulele sound you’d expect, but with deeper mid-range tones and a louder volume compared to a soprano. This makes it great for playing covers of your favorite pop or rock songs. Tenor ukuleles have been quickly gaining popularity, and stand out as another great choice for beginners looking to venture into learning to play the ukulele. Here again, with bigger size comes a deeper tone and more volume, but tenors move further from the classic ukulele sound which may be a turn off. Baritone ukuleles are something you’ll probably want to avoid as a beginner. 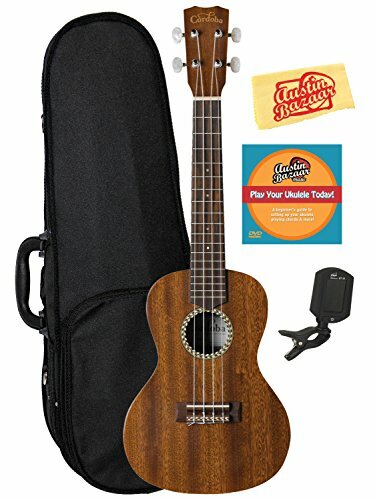 The biggest of the bunch, the baritone ukulele has the deepest sound but also uses a different tuning than the other three ukulele sizes, which means chords you play on a concert ukulele don’t directly transfer over to a baritone ukulele. Baritone ukuleles are also the rarest of the bunch, so other ukulele players may not be able to help you with it as much if you have questions. 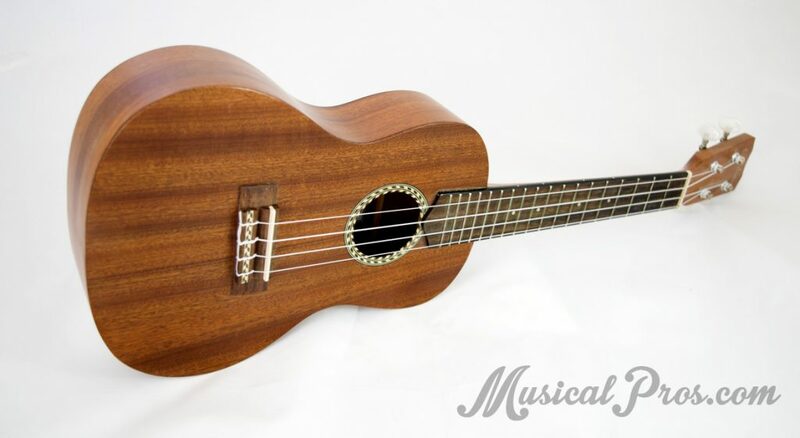 We strongly recommend you start out with a concert or tenor ukulele, which offers a perfect middle ground of the different types and will give you the best range for all the different songs you’ll want to learn. One your more experienced, should you want a ukulele that’s better to travel with, we have a great list of the best travel ukuleles which fit the on-the-go lifestyle. These typically have a thinner body than a regular ukulele. If you’re looking for one ukulele to buy and not have to worry about upgrading in the future, then the Cordoba 20cm is perfect for you. 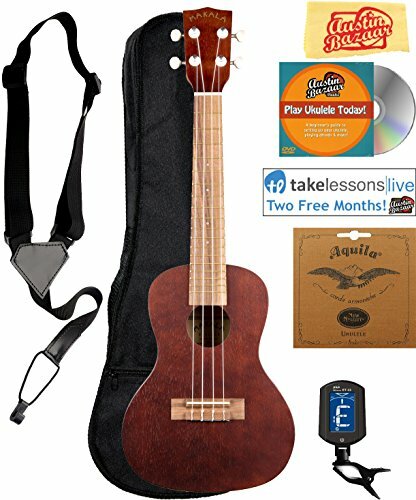 Of course, you’re paying for quality, so expect to pay more than you would for the typical “beginner ukulele”. With that added cost comes Aquila Nylgut strings that should last forever and great sounding solid mahogany top that will impress beginners and advanced musicians alike. 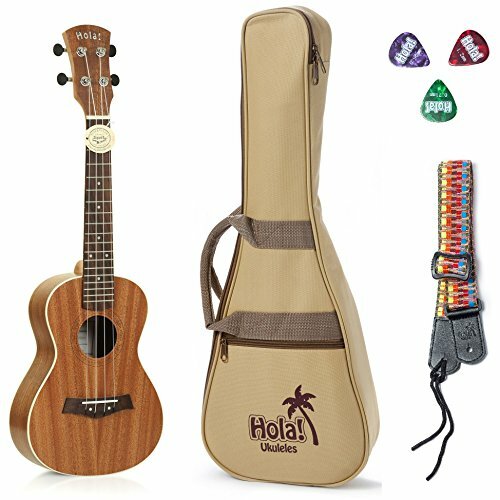 This Cordoba 20cm Bundle comes with a travel case and electronic ukulele tuner, making it a great bundle for beginners. If you don’t want to pay this much for a ukulele up front, continue to the rest of our recommended ukuleles for cheaper options. Check out the Cordoba 20cm Bundle now! We recommend taking your learning to the next level with the Rocket Ukulele course which is designed to take you from beginner to master your favorite songs at whatever pace you want. 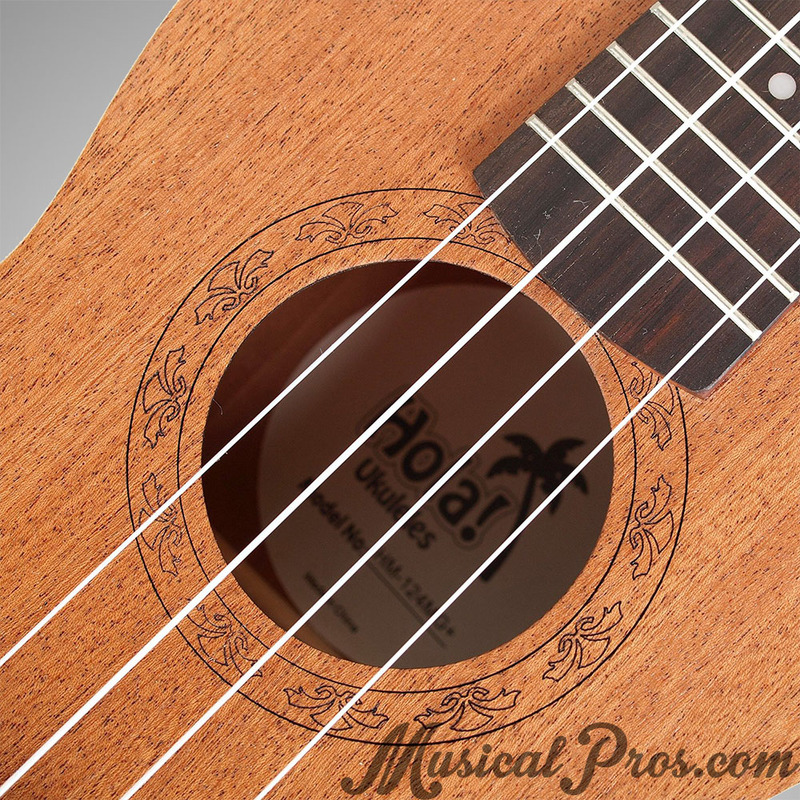 Kala is a very popular and trusted name in the ukulele business, so if they’re putting their name on a ukulele you can be certain it’s made with quality in mind. If you’re looking to get started for as little as possible, this Hola! Music ukulele is the best cheap ukulele you can find. You certainly can find cheaper ukulele’s even under $30, but if you’re serious about learning a musical instrument, and not just buying a toy to play around with, you need to spend a bit more on your first ukulele. The HM-124MG+ has great build quality and a nice mahogany body to produce rich tones. Also very important is the Aquila strings the ukulele comes with. These are the largely considered the best string material for ukuleles, and typically aren’t seen in ukuleles under $100. 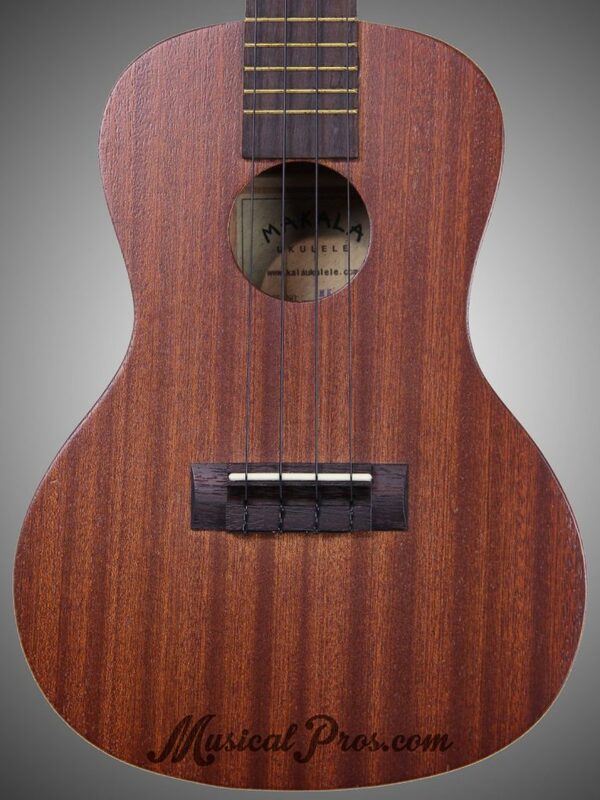 If you’re looking to get started with a very inexpensive ukulele and one that’s highly durable, you can check out the Kala Makala Waterman plastic ukulele. You can usually find one for under $50 and they’re very resistant to changes in humidity and temperature, and even water! 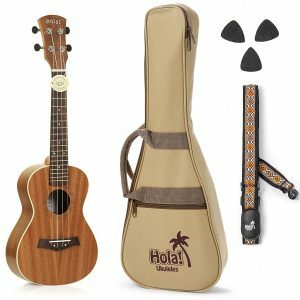 The downside is they don’t sound as nice as a wood ukulele, so most people who use one primarily use it when they travel or head to the beach or river. If you’re interested in learning more about the best plastic ukuleles, click that link for our guide. Starting your journey on learning to play the ukulele will likely be one of the most rewarding things you do. It’s such a wonderfully unique musical instrument that’s very simple to learn, but can take a lifetime to master should you wish to pursue it.